Over the past few days, an IP battle has erupted at print-on-demand service Zazzle over a 3,000-year-old Greek letter. 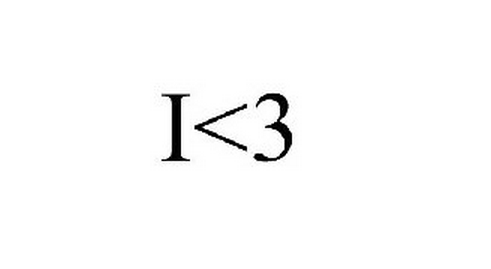 New York artist Paul Ingrisano was granted a trademark for the following symbol, apparently in reference to his initials. This safely stashed in his pocket, he directed attorney Ronald Millet to order takedowns of infringing merchandise. Ingrisano's cease-and-desist demanded that Zazzle not only remove any items including the pi symbol (with or without the full stop) but to provide a full accounting of what had been sold and cooperate on a full audit of pi-related merchandise sales. The letter warned that failing to do so would open up Zazzle to accusations of "willful infringement." Ingrisano's trademark, as ridiculous as it is, contains a period at the "end," something most pi-related merchandise does not include. 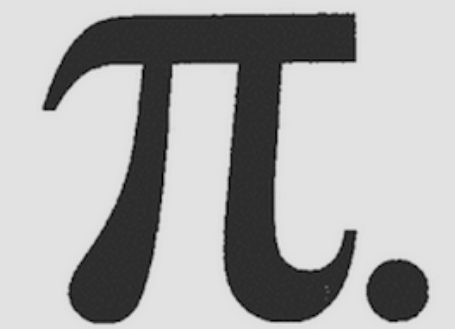 (People have also pointed out that his trademark appears to be a direct copy of Wikipedia's pi image.) On top of that, the trademark covers a very narrow category of goods (albeit one that could be read expansively). This narrow category would exclude many of the items taken down by Zazzle to comply with the C&D. His attorney's letter doesn't specify which sort of items are infringing and worse, makes a general claim over the pi symbol itself, rather than Ingrisano's registered pi-and-full-stop. It has been brought to our client's attention that your business… has been using the mathematical symbol "pi," referred to herein as the "pi trademark." Description of Mark: The mark consists of the pi mathematical symbol followed by a period. This appears to be Ingrisano attempting to cash in on the work of others. With ridiculous trademark in hand (and a willing attorney in tow), he's now attempting to enforce his trademark, starting with a whole lot of Zazzle users who aren't even using the registered mark. His lawyer at least seems to understand that this legal action isn't going to be warmly welcomed. Of course, Millet may not be the best person to be tasked with enforcing trademarks, seeing as he states the following (and in all-caps) in the C&D's opening paragraph. Accordingly, you are hereby directed to CEASE AND DESIST ALL COPYRIGHT INFRINGEMENT. Yeah. That's not even what's going on here. Kevin Poulsen at Wired asked Millet if Ingrisano had trademarked any other mathematical symbols. Currently published for opposition, it's already run into a dispute from Reebok (which has a trademark on "I3"), which has resulted in the following exclusion being written into the super-long list of products Ingrisano is hoping to market with his co-opted texting symbology. The US trademark office has entertained many, many opportunists, and Ingrisano's trademarked "pi." is no exception. That an attorney might pursue baseless claims on behalf of someone like Ingrisano isn't surprising either, but that says at least as much about Millet as it does for the Brooklyn artist who has yet to enter the same market he's seeking to exclude others from. He decided the song would be in C, then assigned each note a number: C=1, D=2 and so on up through 9. Using those assignments, he played the sequence of pi: 3.14159 through 31 decimal places. He assigned numbers to chords, too, but could only play the chords every other note and still make it sound vaguely musical. Finally, he used pi as the basis for the tempo — it's 157 beats per minute, which is half of 314. He played this part on several instruments, as you can see in the video above, and layered them to make a song. The result isn't exactly catchy, but it's certainly melodic. Apparently Erickson got upset about this -- though he admits he was mainly upset that his own comments on the YouTube video of Blake's song were deleted. So he filed a lawsuit claiming copyright infringement. The primary similarity between Pi Symphony and "What Pi Sounds Like" is the musical pattern formed by transposing the digits of pi to a set of musical notes. 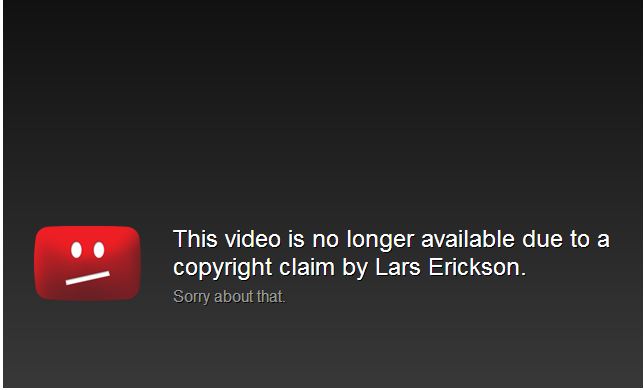 That pattern is not protected by Mr. Erickson’s copyright for Pi Symphony. Pi is a non-copyrightable fact, and the transcription of pi to music is a non-copyrightable idea. The resulting pattern of notes is an expression that merges with the non-copyrightable idea of putting pi to music: assigning digits to musical notes and playing those notes in the sequence of pi is an idea that can only be expressed in a finite number of ways. This does not mean that Mr. Erickson’s copyright is invalid, only that Mr. Erickson may not use his copyright to stop others from employing this particular pattern of musical notes. Copyright protects against the copying of original elements of an author’s work. It does not protect the copyright holder's goodwill, market status, or artistic success. It does not even protect the author's hard work in being the first to create a compilation of information otherwise available in the public domain. See Feist, 499 U.S. at 359-360 (rejecting the “sweat of the brow” theory of copyright protection). These limitations derive from the constitutional basis of copyright, which is “To promote the Progress of Science and useful Arts, by securing for limited Times to Authors and Inventors the exclusive Right to their respective Writings and Discoveries.” U.S. Const. art. 1, sec. 8, cl. 8. Copyright is thus intended to protect the original work of authors without granting monopolies over facts or ideas that would hinder further progress.... Given statutory law, the Constitution, and Supreme Court precedent, Mr. Erickson cannot use his copyright to stop Mr. Blake from employing the same idea—the transcription of the digits of pi to musical notes. Nice to see the court lay out the reasoning so clearly. It's unclear if the court recognized the symbolic nature of issuing the ruling on Pi Day, but either way, it was a nice move. Google Tried Bidding Geeky Numbers For Nortel Patents; How About $3.14159 Billion? Yes, they bid pi. Really not quite sure what to make of this. It could be Google hoped that they'd be able to "signal" to geeks their feelings about the whole process (which the company had been pretty clear about all along -- it didn't want to buy the patents, and seemed to think the whole process was stupid, but it felt compelled to, because it would be even worse if the patents ended up with someone else). However, it certainly does come off as pretty damn cocky -- an attitude that Google is frequently criticized for. Still, it also suggested the level of seriousness (i.e., not much) with which Google treated this whole process. It had to bid a lot of money, but the numbers acted as a bit of a protest for the mess which put them in a position where they felt they needed to do so. The other interesting bit in the tick tock was how the groupings came about, with coalitions forming as different companies dropped out. Apparently, Intel bid heavily, and when it dropped out, there was a fight between Apple (who put together the winning coalition) and Google over who it would team up with. Intel eventually chose Google. Of course, that setup makes the whole process seem even sillier. Once they get down to two "teams" why not then just all join forces and set the bid lower (divided among more partners), rather than continue to use each other to drive the bid higher. Well, there's one reason: if the winning bidder intends to use the patents against the losers... Google (with Intel's help) wasn't willing to go to $4.5 billion, but it seems likely they'll end up paying one way or another, down the road, thanks to the new "winners" of the patents. Finally, he used pi as the basis for the tempo -- it's 157 beats per minute, which is half of 314. Another guy, named Lars Erickson, apparently came up with something similar back in 1992, and even went so far as to register a copyright on the output. Blake had posted a video on YouTube of his version, and Erickson issued a takedown. Erickson, in talking about this, admitted that he only took action because he was upset that someone removed comments about his song on the YouTube page with Blake's song. Of course, we doubted this would ever go so far as an actual lawsuit. We were wrong. Billy Wenge-Murphy alerts us to the news that following Blake's counternotice and YouTube's reinstatement of the video, Erickson has sued. You can see his filing below. ... if by some magic a man who had never known it were to compose anew Keats's Ode on a Grecian Urn, he would be an "author," and, if he copyrighted it, others might not copy that poem, though they might of course copy Keats's. Assuming Blake did not copy Erickson, there's simply no issue at all. Of course, even if he did copy Erickson, there are reasonable questions as to what in Erickson's song is actually copyrightable. Obviously, the concept of a song based on pi is not, because you can't copyright ideas. The actual song parts based on pi are not, because Erickson does not own pi. The only thing that might qualify for a copyright could be specific creative choices that Erickson made, but it's unclear if Blake copied any of those. And, in fact, nothing in the legal filing (embedded below) delves into that issue at all. Erickson, instead, seems to assume (falsely) that only he can make music based on pi. The key point that Erickson seems to be relying on is the idea that he has "lost revenue" due to Blake's work. That, of course, is silly. First of all, writing a song based on Pi cannot and is not Erickson's exclusive idea. And, seriously, what "revenue" was he losing here? Erickson also complains about how Blake's work "dilutes the market," but this isn't a trademark dispute, and I don't see how competition in the market with a different song violates copyright law. I can't see this lawsuit getting very far at all, and it's really quite amazing that Erickson went through with it. Surely, someone somewhere along the way must have explained copyright law to him, right? His approach? He decided the song would be in C, then assigned each note a number: C=1, D=2 and so on up through 9. Using those assignments, he played the sequence of pi: 3.14159 through 31 decimal places. He assigned numbers to chords, too, but could only play the chords every other note and still make it sound vaguely musical. Finally, he used pi as the basis for the tempo � it's 157 beats per minute, which is half of 314. He played this part on several instruments, as you can see in the video above, and layered them to make a song. The result isn't exactly catchy, but it's certainly melodic. "I am not interested in suppressing the melody of Pi, or copyrighting the number, Pi. I simply filed a copyright on﻿ the melody when I devoted a considerable amount of time writing the Pi Symphony. I have spoken to Michael Blake and his actions of removing comments referring to Pi Symphony was what spurred me to action. Heck, I am sure we can work this out, but right now, 1:59 is right around the corner, so how about a momentary cease fire." So Blake's "independent" creation would bar any copyright issue. Separately, of course, there's the question of whether or not the original work can actually be copyrighted, and there may be some copyright claim, but only on the creativity added by Erickson, meaning that the underlying idea and the number, clearly, could not be part of the copyright. So Erickson's claim again falls short. On top of that, people are saying that the two songs do have some differences as well, raising even more questions. Finally, Erickson appears to admit that his issue wasn't copyright related at all, which suggests he knows that he has purposely misused the DMCA (a no-no) and could face sanctions for doing so. He only took it down because he was upset about Blake removing comments pointing people to his version. Now, it should be pointed out that, if true, this seems like a pretty petty move on Blake's part. Removing those comments is lame. But, that doesn't make it okay to abuse copyright law to issue a false takedown. But, of course, these are the kinds of absolutely ridiculous situations we get into in today's society, where people are taught (not quite correctly) that they can "own" concepts like this.